If you’re building your WordPress site, you may want to follow a few tips that can make your life simpler and your website more effective overall. WordPress is a very flexible and easily customized CMS solution, but there are still some ways that it can be made even easier to use. Why use WordPress for your Small Business Website? WordPress is the ideal solution for a small business because it’s cost-effective, fast to deploy and easy to use. Business owners can save on costs by managing their own website and even administrative personnel without technical knowledge can make modifications to the website. WordPress itself is also entirely free, which is beneficial for companies that have small advertising budgets. Without of the box SEO functionality, WordPress gives you everything you need for a successful website in a single package. 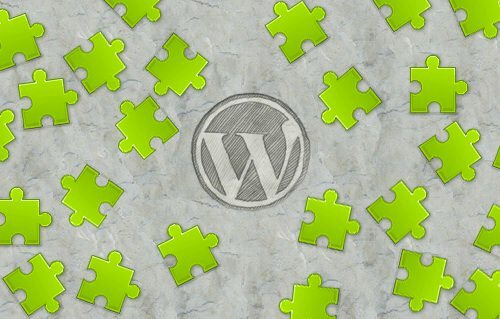 What benefits does WordPress have over other Solutions? By far, WordPress is the easiest to use of all the CMS solutions. The leading solutions in the business, such as Drupal and Joomla, all require some measure of technical knowledge. WordPress also lends itself easily to blogging, which is one of the best ways that a small business can advertise itself. Most companies will be able to get a WordPress website up and running within a matter of an evening, while other content management systems may take many days of work. What do you need to know about using WordPress? · Follow the proper security measures. Your WordPress administrative panel will be the key to controlling your entire website. Using complex passwords, changing your passwords often, altering your username and configuring your server properly will all go a long way towards securing your WordPress website. · Invest in the right WP hosting solution. WordPress has a tendency to take up a significant amount of system resources, and WordPress can experience lag if these resources are not available. · Don’t forget to use extensions. There are an incredible amount of extensions available through the WordPress library that can do virtually anything you need. If you find yourself wishing that your website had a specific functionality, a quick search will often lead you directly to an easily installed package. · Speed up your website with caching. There are many caching modifications available that you can add to your website to make it faster. · Always integrate your social media accounts. With extensions, it’s very easy to connect all of your company’s social media to your website. · Use your blog. Adding content on a regular basis is one of the best ways to build a following for your business, and WordPress is the premiere blogging platform on the web. · Supercharge your search engine optimization through the use of extensions. There are many SEO extensions available that can boost your search engine rankings when used regularly. · Remember to collect your data. Analytic data will tell you everything you need to know about who is visiting your website and when. WordPress is an excellent choice for anyone who wants to start a website for their small business quickly and without a lot of technical knowledge. Despite its easy to use platform, WordPress is nevertheless very robust and can be used to develop any type of website, from a simple service-oriented website to a large ecommerce platform. Next story Are Clowns Still Hired For Birthday Entertainment?